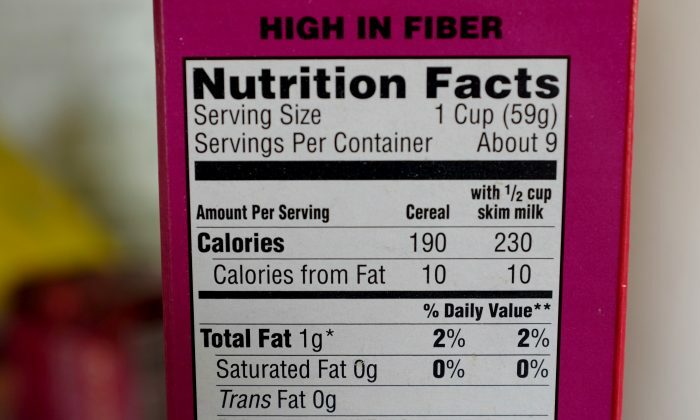 New nutrition facts labels were revealed on May 20, but we won’t be seeing them on packaging until 2018, according to the U.S. Food and Drug Administration (FDA). The FDA said the new label, which is replacing the current 20-year-old label, is designed to reflect new scientific information—including the link between diet and chronic diseases such as obesity and heart disease. The agency said the new label will make it easier for people to make informed food decisions. 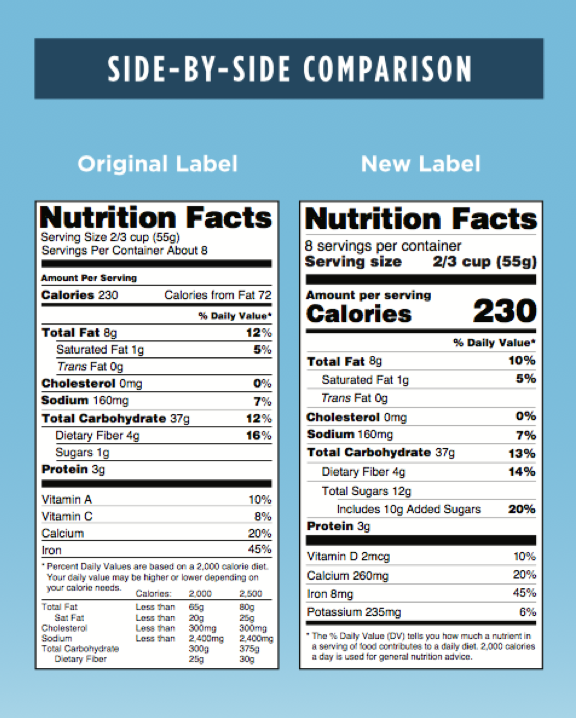 The label will feature a larger type size for “calories,” “servings per container,” and “serving size,” while bolding the number of calories. The list of nutrients required to be stated on the label has also changed. Vitamin D and potassium will be added to the label—the FDA said Americans don’t get enough of those nutrients. Calcium and iron will remain on the label, while vitamins A and C will be removed. The new label will also update serving sizes. What was considered a single size serving has changed over the past two decades, according to the FDA. The new serving sizes on labels will reflect what people are typically eating at one time—some may decrease and others will increase. By law, the serving sizes must reflect the amount people usually consume, not how much they should ideally consume, the FDA said. Peter Nickless, head of the Applied Clinical Nutrition program at the New York Chiropractic College, welcomed the label changes, but said the FDA could have gone further. “Overall I think this is a good healthy step in the right direction, but it does not go far enough,” he said. The serving size part of the label may confuse consumers, said Nickless. “Many will be able to note the increased ‘realistic’ servings but may be under the false impression that this is the appropriate serving size,” he said. “Having the new serving size compared to a recommended serving size may help combat this,” he said. The new label will also include an “added sugars” section. “The updates to the label will help increase consumer awareness of the quantity of added sugars in foods,” stated the FDA. People in the United States get about 13 percent of their total calories from added sugars on average. But Nickless said labels should have more information about the type of sugar in foods and drinks they are buying. “The added sugars are all lumped together, indicating no difference in sugar type,” he said. Nickless said the updated labels are more transparent than they were but could go still further by including information about allergens and genetic modifications. He also noted the new label does not mention food processing. “It think that these changes will give the consumer who is paying attention to nutrition labels—yet lacks a formal education on the subject—a more accurate depiction of what they are eating,” he said. But, he said, although the label changes may help, it’s not as much as hoped. The FDA said manufacturers have until July 26, 2018, to update their labels, while those with less than $10 million in annual food sales will have until 2019.